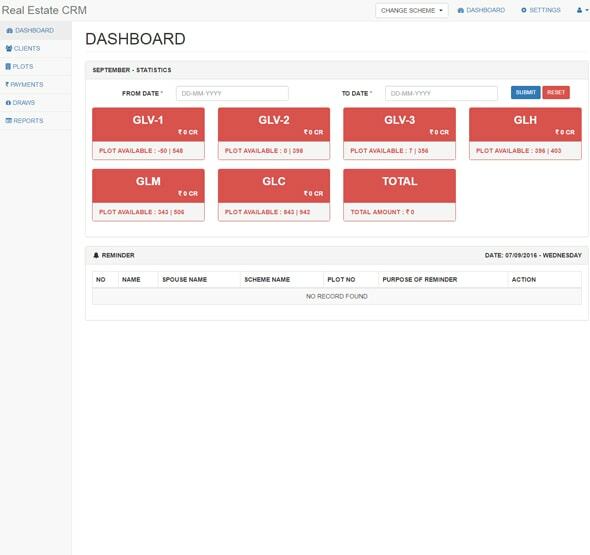 Our real estate CRM software, best fitted for Plotting scheme owners. Easy to manage clients and received payment. Daily / Weekly / Monthly report generation is most usable functionality. Report - Utilize client information for promotion.